I’ve had a little bag of quinoa sitting in my pantry for the last couple of weeks and I knew if I didn’t use it soon, it would get pushed to the back, never to be seen until the next time I cleaned those cabinets. So of course I turned to Pinterest (notice a trend here? LOL!) and there was a recipe for cheese and veggie quinoa bites. They looked so cute and something I could use to get some more vegetables into Madeline. She’s been getting a little picky lately so I knew I had to do something about that and these were the perfect little thing to get her to eat spinach without making a big deal about it. I don’t know what is up with her and vegetables, since this was the same little girl at age 2 who wanted to eat salad every day for lunch! I’ll definitely be making these again! 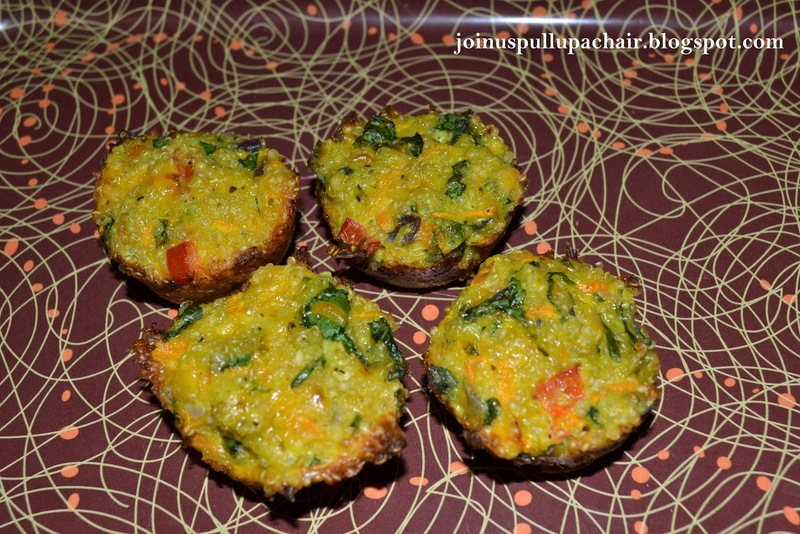 They’re so tasty and a great way to use up whatever vegetables you have laying around. Preheat your oven to 350 degrees. Lightly spray a mini muffin pan with cooking spray and set aside. In a large bowl, combine all the ingredients. Using a tablespoon, scoop the mixture into small balls and place into each mini muffin cup. Press down lightly to make sure the mixture is firmly packed.